Redleg Nation is a labor of love. That’s the way it’s been since 2005 when Chad Dotson started the site. We take on a few valued Reds-related sponsors like the Dayton Dragons, but otherwise we keep the site free of ads. We confine our direct fund-raising to two weeks. Our 2016 appeal begins with this post. We think the world of our talented writing staff. They’re great to work with, give their best and, most of all, they meet deadlines. Every person who writes for and edits Redleg Nation does so on his or her own time. You know our names and who we are. The only compensation our writers receive is a free hat or shirt and an end-of-the-year meet-up ballgame. We would like to do more for them. Your financial contribution defrays the cost of hosting and managing the site and allows us do nice things for our writers. Think of your contribution as supporting the content of Redleg Nation. We’re a strong, independent voice when it comes to the Cincinnati Reds. We publish an average of four posts per day during the season, representing a tremendous variety of styles. We aim for high-quality, thought-provoking content. We also monitor our comments sections to rid it of the vulgarity, profanity and personal attacks that define typical online comment boards. We want parents to feel comfortable letting their kids who are Reds fans read our site. If you find value in what we do and can afford to do so, we ask for your financial contribution. It takes less than a minute to donate. To make a one-time donation or set up a monthly contribution, click the donate button in the right-hand column and follow the few simple steps. You do not need a PayPal account to donate, just a credit card. This week we’re asking for direct financial contributions. 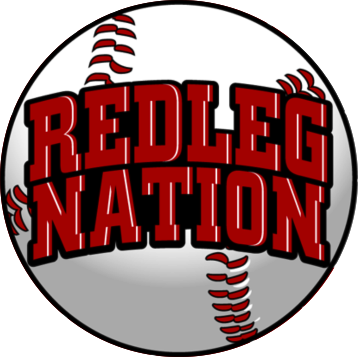 Next week, we’ll sell merchandise to those of you who want more Redleg Nation swag.